LoadMaster, a subsidiary of LTA Manufacturing LLC, has introduced two new in-bed cargo management systems: Full Extension (FE) and Dual Slide (DS). These two new styles join the already available Standard Duty (SD), Heavy Duty (HD) and Composite (CP) in-bed cargo management systems. 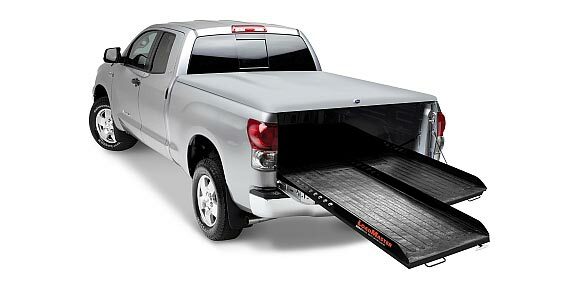 The LoadMaster FE provides 100% extension from the bed of the truck with four different locking positions. Available in 1,000- and 2,000-lb. weight capacities, the FE system fits multiple bed sizes, including full-size and mid-size short and long beds. 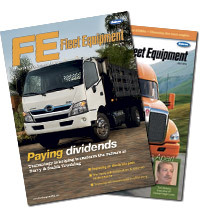 FE cargo management systems come complete with a removable rubber deck mat, laser cut steel side rails, a spring release T-handle and powder coated reinforced steel frames. The FE is also available with optional Extreme Side Rails (XT). The XT option is bed-deep, water jet cut and powder coated with multiple tie-down locations and is comprised of lightweight aluminum that is formed over the wheel wells. LoadMaster has also added the new DS to the product line. The DS (pictured above) features two sliding in-bed trays which offer a total weight capacity of 1,200 lbs. with each tray supporting up to 600 lbs. The DS allows for up to 70% extension from the bed of the truck and features three locking positions: in, half-way and fully extended. DS systems are comprised of powder coated steel frames. A five-year limited warranty is offered to general consumers, and commercial applications receive a warranty period of three years. The warranty covers defects in materials and workmanship and requires that products be installed by an authorized LoadMaster dealer. Weight capacities are designed for evenly distributed weight.